Is your faith on a steady course or could you be in danger of shipwreck? Scripture warns us of the possibility of being shipwrecked in our faith – getting so far off course that we find ourselves beaten by the winds of the world and going down, spiritually. The Apostle Paul instructed Timothy to “fight the good fight, holding on to faith and a good conscience” so that he wouldn’t “shipwreck” his faith (1 Timothy 1:18-19). So what shipwrecks our faith? I believe certain habits can slowly divert our course to the point where we are in dangerous waters, quickly going down, and eventually stranded on an island, isolated from our brothers and sisters in the faith who were once there to help us stand strong. Here are seven habits to steer clear of so they don’t destroy your faith. Loving the world. It starts so innocently. We never intend to desire the things of the world more than the things of God. But before we know it, we have made idols of the objects of our desires and our faith pays the price. Scripture warns us: “Do not love theworldnor thethings in theworld. If anyone lovestheworld, thelove of theFather is not in him” (1 John 2:15). The world will vie for your love and affection. Be wary of loving anything in this world more than Jesus. When something else captures your heart, it will eventually destroy your faith. Neglecting the Word. One of the easiest ways to become attached to the world and to pursue the temporary, rather than the eternal is to neglect God’s Word. If we aren’t constantly pouring God’s Word and principles into our hearts and minds, we will be stained by the perceptions and priorities of the world in which we live. In His parable of the sower, Jesus warned of “the man who hears the word, and the worry of the world and the deceitfulness of wealth choke the word, and it becomes unfruitful” (Matthew 13:22). Reading and understanding Scripture strengthens our faith in the God we sometimes struggle to understand. Don’t neglect the Word. Trusting Your feelings. This works if you’re Luke Skywalker and you’re learning to use “the force.” But it’s dangerous to our faith in the Christian life. While we should be discerning of the Holy Spirit’s direction and aware of His conviction on our hearts, we can never put our feelings overthe facts of Who God is and what His Word says. Jeremiah 17:9 tells us “The heartisdeceitfulabove all things and beyond cure….” Our feelings can mislead us by making us think God has abandoned us, when the facts of His Word say He will never leave us nor forsake us (Hebrews 13:5). Our feelings might tell us God is angry with us and will not give us another chance, but the facts of His Word tell us “there is now no condemnation for those who are in Christ Jesus” (Romans 8:1). Base your faith not on your feelings, but on the facts of Who God is and What He says in His Word. Your feelings constantly fluctuate but the facts about God (He is good, He is loving, He is all-powerful, He is in control of all things) never change. Worrying. Worrying is an easy thing to do. But it’s dangerous. And it’s a habit that insults God. To worry is to say to ourselves and others “God can’t handle this, therefore I must stress.” Jesus instructed His disciples five times in Luke 12 not to worry, because God would take care of them. We are also told in Philippians 4:6 to worry about nothing and instead, pray about everything. Faith, like a muscle, must be exercised, or it will atrophy. Faith is exercised when we choose not to worry, but to trust our Heavenly Father – trust in His timing, His wisdom, His goodness, and the times He says “wait” or “no” for our own good. or sit in the company of mockers.” And throughout the Proverbs we are told to choose our friends carefully (Proverbs 12:26). Are you around others who sharpen your faith and challenge you to grow spiritually (Proverbs 27:17)? Or do you hang out with those who complain, criticize, gossip, and whittle away your faith, unknowingly? Choose your friends carefully so your faith is protected. Refusing to hope. It is in our human nature to become cynical and refuse to hope out of a desire to protect ourselves from disappointment. I used to be this way…expecting the worst, not the best, so I wouldn’t be disappointed. I was always waiting for the other shoe to drop so I wouldn’t get my hopes up. I was finding myself saying the words “that’s just my luck.” But that is not faith. That is doubt and cynicism. And it is not the actions of a loved child of God who maintains hope in her Heavenly Father. Hebrews 11:1 defines faith as “the assurance of things hoped for, the conviction of things not seen.” Who are you hoping in, regardless of the odds? What are you sure of that you don’t yet see? Place your faith, not in circumstances, odds, or people, but in the One who does wonders. If you struggle with any (or all) of the habits above, you don’t have to stay stuck in that rut. If you are in Christ you are a new creation (2 Corinthians 5:17) capable of developing new habits that build, rather than destroy your faith. Recommit your heart to Him and trust Him as He allows circumstances to come your way that stretch and strengthen your faith. For more on trusting God and keeping your faith in Him strong, see my books, When Women Walk Alone and 10 Secrets to Becoming a Worry-Free Mom. on 7 Habits That Can Shipwreck Your Faith. So true! 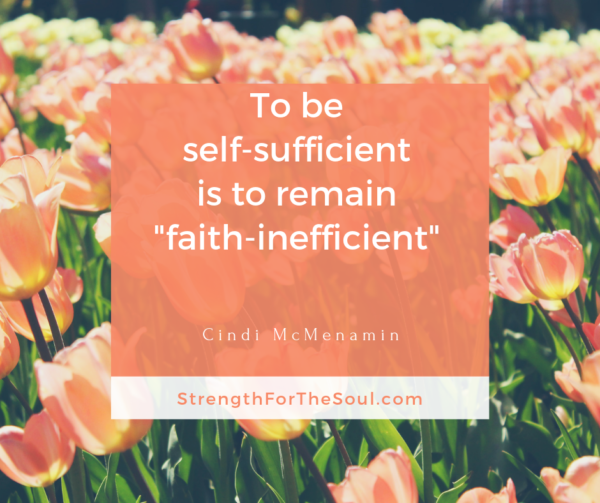 Thank you for these reminders, Cindi! You’re welcome, Sally. As always, thanks for reading. Great reminders for us all! Thank you, Cindi. Thank you Cindi, for this timely blog. I needed to read this for the encouragement, especially the first couple of points! God has been speaking into my heart of late about these things. I thank God for your sharing from your heart. May He bless you heaps!! You’re article blessed me… the last point “refusing to hope” really stood out to me. I sometimes expect the worse so I don’t get disappointed. Thanks for all the time you take to prepare these articles. YOu’re such a blessing! 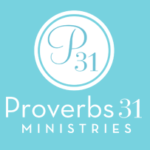 I went to a women’s conference recently and the message was 3 women’s testimonies. It was probably the best conference I’ve been to. It motivated me to start writing again and possibly share my whole testimony just on my blog, as long as my husband is “in” because I need to continue to submit to him. 🙂 I remember you inspired me to share my testimony too. Thank you for being a sweet friend and an inspiration to me. Your message today showed me the necessity of staying in the Word of God and hiding it in my heart. So many times, I’ve been lured away by the internet, television and secular books. I see how subtle Satan is to plant these items before me to sabotage my faith and put my trust in others and myself rather than God. Thank you for these warnings that will keep me faithful to the Lord and to grow in faith. Thanks for reading, Kathy. Blessings as you seek to walk closely with Him. What a message for a time such as these. Point No 2 is so true that the devil tries as such as he could to use it against Christians. The importance of daily refreshing our minds with God’s word cannot be over emphasized. It’s a massive faith booster. It becomes so worrisome that Christians can seat for hours watching a worldly movie but find it very difficult to spend 30 minutes with the word. Thank you Cindi for sharing this. It has helped me a lot. Permission to use this as a sermon in my local church when I have the opportunity to do so. You can use this material, just make sure you cite my blog and website where it is located. Thank you for asking. Thank you Cindi, God has used you to revive my soul today. Remain blessed of the Lord. Thank you for reading, Simone. Thank you, Cindi, for your article it really inspired me to spend more time in the word and close doors of the world. There I was used to expecting the worst because I was used to disappointments left and right. Even when I have something or someone good I will push them away to protect myself from hurting and that was really the works of the devil because in God there is no condemnation. Since I go through your articles I’ve learnt that in all my areas I should put God first and I am now experiencing the unshakable peace because I am now recalling in God and put him at the centre of my life. Previously I asked God what is it that you need me to do my mission and in the Morning that’s when I found an article based on all who wants to start writing a book and encourage others. I was so happy because I have drafts of my writing that I haven’t put too much attention on them. Is like I start something and not finish but with your messages I managed to go back to my writing and be committed. I thank you for the site and inspiring us daily. A very blessed day.You have written a powerful message that makes Christian to grow.It is easy to follow band understand your message.It makes us to be unshakeable in our faith and to be more determined.